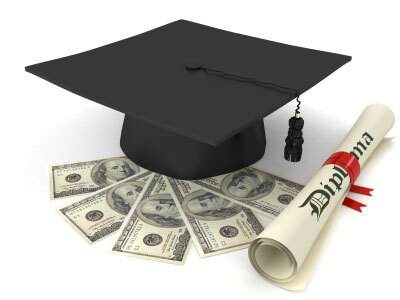 For the college bound student looking for financial aid, qualifying for a grant is ideal. But, not all grants will cover the entirety of your tuition costs. When you factor in book costs, dorm fees and the cost of living in general most grants fall short of the mark when it comes to paying all of your college expenses. That's why student loans play such a major role in financing a college education. Federal students loans, with their fixed low interest rates and flexible repayment plans, offer the most attractive solution. The Federal Perkins Loan Program should be a key component in any student's college financial plan. The Perkins loan offers many benefits and features that make it an excellent source of financial aid for eligible students. The Federal Perkins Loan is a campus-based financial aid package that is available to both undergraduate and graduate students. Participating colleges and universities receive annual loan allowances from the U.S. Department of Education, and it is from theses funds that the school makes Perkins Loans available to eligible students. These loans are limited number and eligible students are advised to apply early. Perkins loans are free of any application or other hidden fees and offer a 9 month grace period following graduation before repayment must begin. Perkins Loan recipients borrow directly from the college campus of their choice. These are subsidized loans, meaning the government pays the interest that accrues on the loan for as long as a students remains in school as well as the 9 month grace period. Under graduate students are limited to loans of $4,000 per year, with a lifetime limit of $20,000. Graduate students are allowed an increased limit of $6,000 per annum, with a $40,000 lifetime limit. While many students qualify for the Federal Perkins Loan, not all colleges and universities participate in the program. Check with your college of choice to learn if they are one of the approximately 1700 colleges and universities that do participate in the program. With it's fixed low interest rates, Federal subsidization and flexible repayment terms the Perkins Loan is the most borrower friendly student loan available. All Federal financial aid programs require students to fill out and submit the Free Application for Federal Student Aid or FAFSA. Once you have submitted your FAFSA and it has been reviewed, you will receive your Student Aid Report which details the amount of your Expected Family Contribution (EFC). This is the amount of money you or your family are responsible for contributing to your education. Within a few weeks, you should receive follow up letters from the colleges to which you have applied detailing any and all types of financial aid for which you have qualified, including the Perkins Loan. This letter must be returned to the college or university indicating what financial aid you are accepting. If you are approved for a Perkins Loan you must coordinate with your school immediately to secure the loan and receive your financial aid money. Loan funds are limited and the earlier you respond the better your chances of getting the loan you need. During the final weeks of your college term your school will contact you and provide loan repayment details relative to your Perkins Loan. You will have the benefit of a 9 month grace period in which to become settled and find a job before any repayment schedule begins. This grace period is one of the major bonuses of the Federal Perkins Loan program, allowing students some time to enter the workforce before any loan payments must be made. A significant benefit of the Federal Perkins Loan program is the Cancellation or Deferment Option for Teachers. Students who agree to take up full time teaching positions in low-income public school districts, or take positions teaching in certain subject areas may be eligible for cancellation or deferment of all or part of your Perkins loan. Check with your college for more information regarding any deferment or loan forgiveness programs for which you may be eligible.